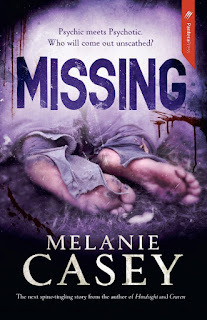 Missing by Australian author Melanie Casey is the third in the Cass Lehman series based in Adelaide and I've been waiting for it to come out for what seems like a-g-e-s. I easily slipped straight back into the lives of Cass and Detective Dyson and the novel can easily be read as a standalone for those new to the author. The case Dyson was investigating piqued my interest and the dialogue between those on the case (especially Dyson's supervisor Crackers) is often laugh out loud funny. Combine this crime plot with the overarching relationship between Cass and her family (mother and grandmother) and Cass and Dyson, add a dollop of suspense and a pinch of psychic power and you have a ripping read. Sometimes a crime series can run out of steam or lose it's original shine after a while however this is definitely not the the case here; in fact, I didn't want it to end. The characters in Missing are familiar but not predictable and just to prove it, the ending made me exclaim out loud in surprise. It's not a 'twist' in the way of a psychological thriller, just something I never saw coming and had to go back a few chapters to enjoy again. My only gripe is that author Melanie Casey indicated in her acknowledgements at the end of Missing that she's saying goodbye to the series for a while in favour of writing something else. All I can say to that is: nnnnnnnooooooooooooooooooooooooooo. I need to know what Cass does next, so my fingers are tightly crossed she comes back to this series in the future. 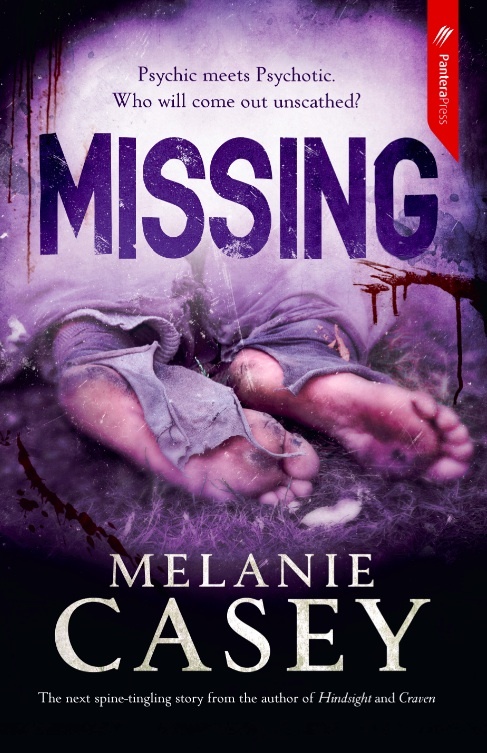 Missing was released last week and is now available in stores. Or you can enter my giveaway below to WIN a copy. Brilliant Jessica, I'm a huge fan of the series too, so good luck! Thanks for the giveaway, Tracey. Always on the prowl for great Aussie Authors! Thanks Suzanne, the main character in this series has the psychic ability to re-live a person's death if she occupies the same space they did when they passed away. I'm a big fan and look forward to reading whatever Melanie Casey does next. Thanks for all your entries, this giveaway is now closed. Stand by for the announcement of the winner soon.